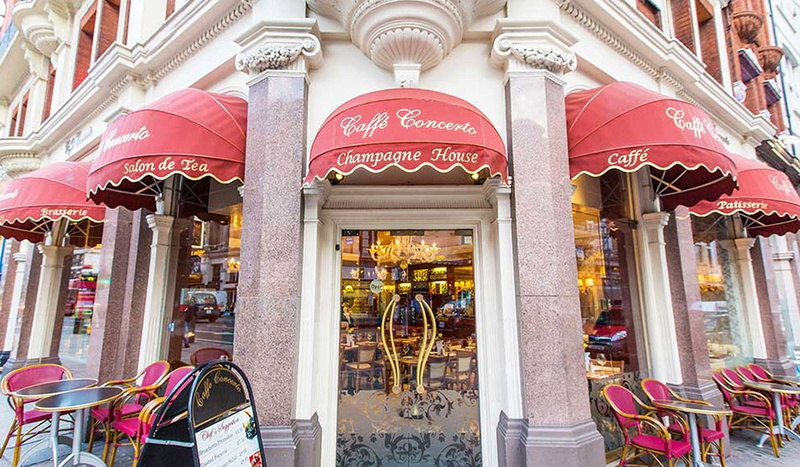 Located right in the heart of London is Caffé Concerto. A grand, opulent café, it exudes a level of decadent, old-world Italian charm that wouldn’t go amiss when in Rome. 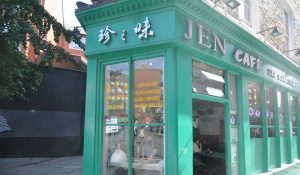 One of several branches in London, this larger-than-life café and restaurant is buzzing for breakfast, lunch, dinner dates with other halves or catch-ups with friends and family. A casual dining experience, whatever time of day, in elegant surroundings. Serving a delectable range of the finest cakes, from classic Bavarian Black Forest to the ubiquitous Italian Tiramisu, there’s a gateau and slice that’s just right for everyone. For a civilised treat, why not try their afternoon tea with prosecco? 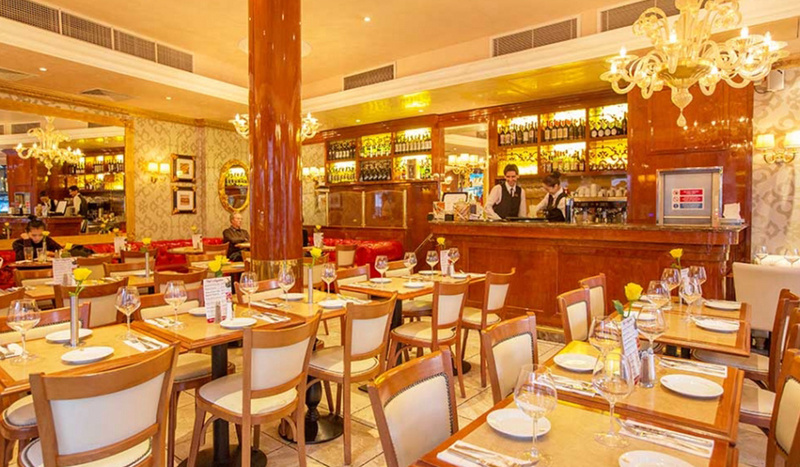 The lunch and dinner menus mainly focus on traditional Italian dishes, such as Seafood Risotto, classic Spaghetti Bolognese and Chicken Milanese. But they do a mean cocktail too – go Venetian style and sample their Peach Bellini. Great food, killer drinks and a bustling Italian atmosphere. You’re one step closer to St Mark’s Square.